Size: H: 118″, Diameter:157″or Customized Size. 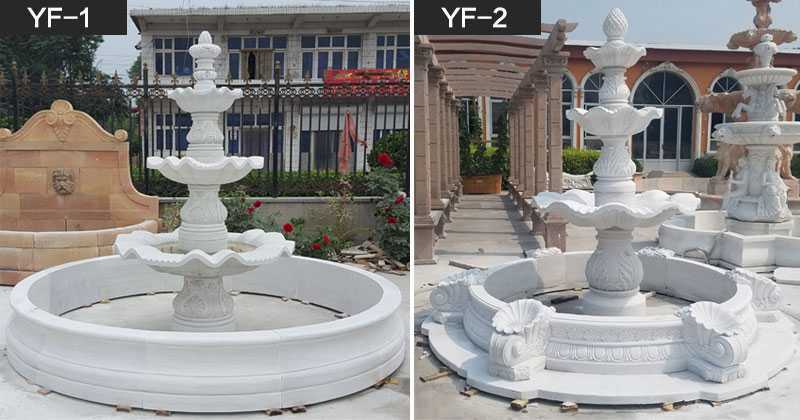 Marble Horse Water Fountain is used mostly for outside (garden, square etc), it also can be used for interior decoration. 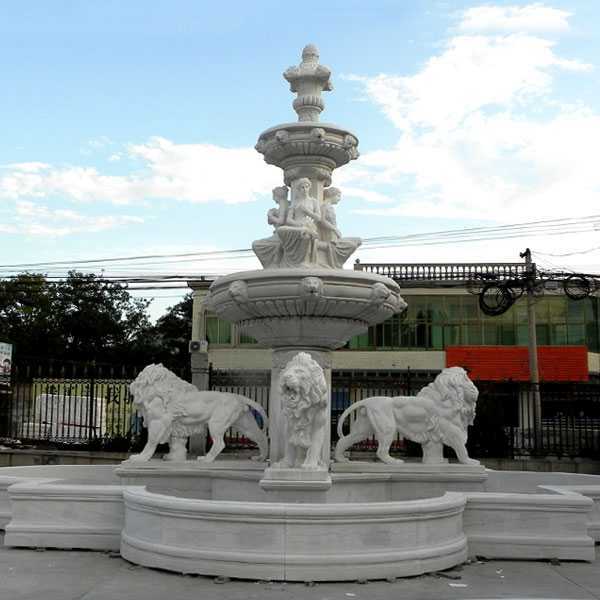 We offer customized sizes of marble horse water fountain. This is the popular design in our factory every year. This small marble horse water fountain is not expensive. Setting them up is just easy, you don’t need to be professional plumber.We provide user manual that will guide you in setting them up. 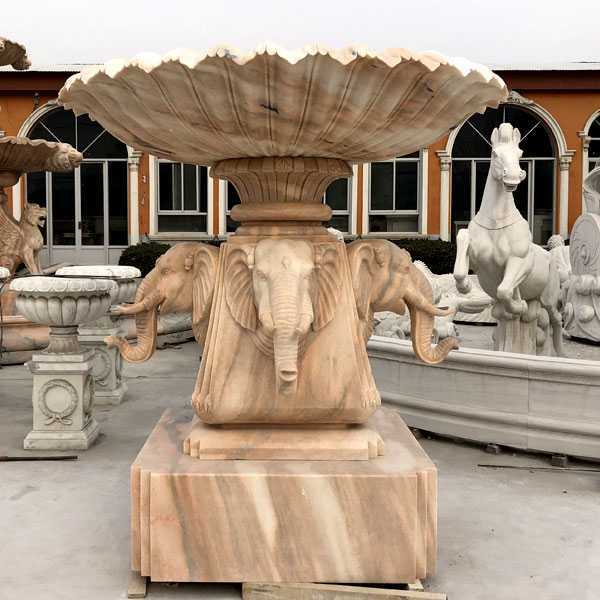 For the designs, there are beautiful shells around this marble horse water fountain. The four marble horse statues in the center is with beautiful carving wings. 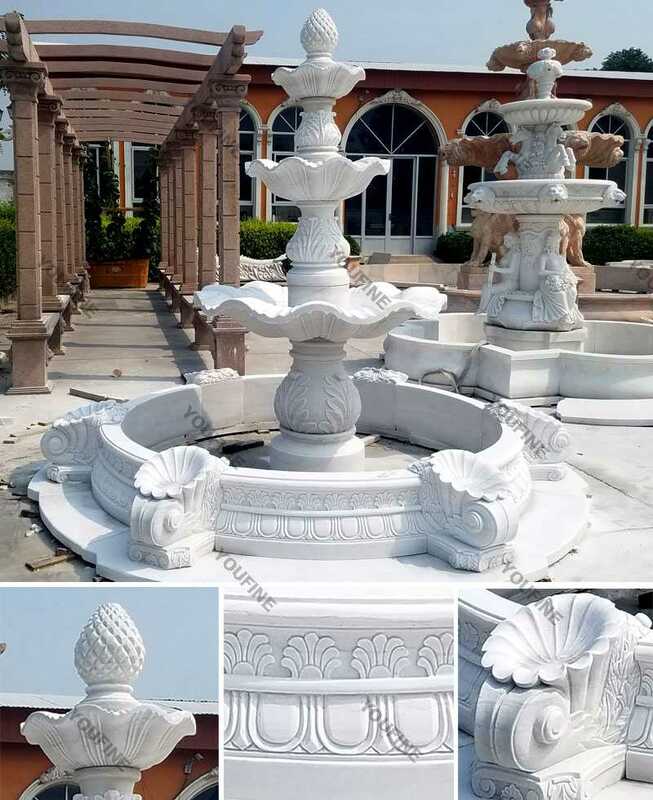 Such one beautiful hand carved marble horse water fountain would be one good choice for your home and garden! 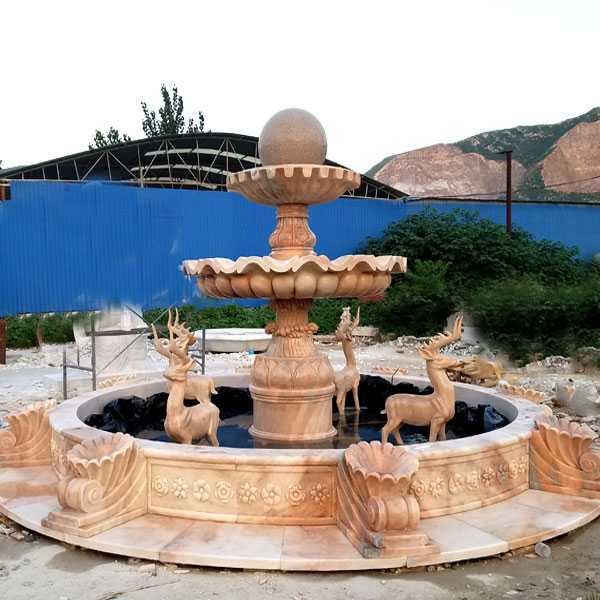 You Fine could provide all kinds of marble water fountain,such as 3 tier marble fountain, animal marble fountain, large marble fountain,rolling ball marble fountain,Marble Horse Water Fountain etc.. We could also make customized designs and size. There are certain things that can bring more than one element to a garden.For example,3 tier outdoor fountains offer a combination of dramatic beauty, peaceful sound, and artistic elements to your own garden space. 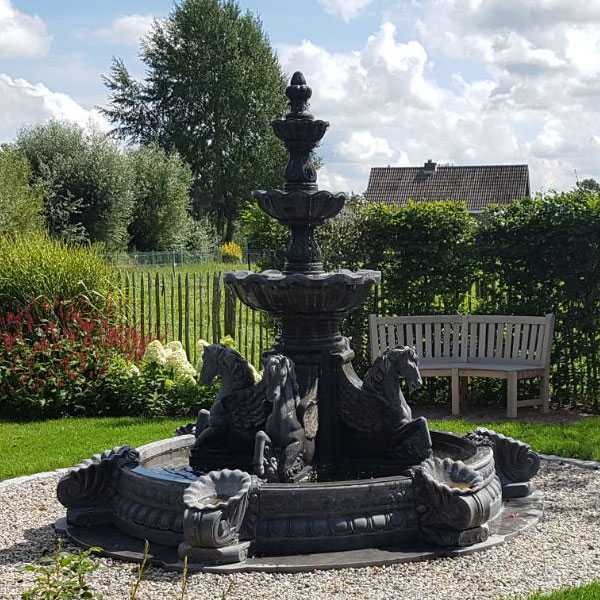 Some people may think these fountains are simply too large for their smaller garden, but they are available in a variety of sizes.You can easily find a three tiered fountain to suit your own garden. 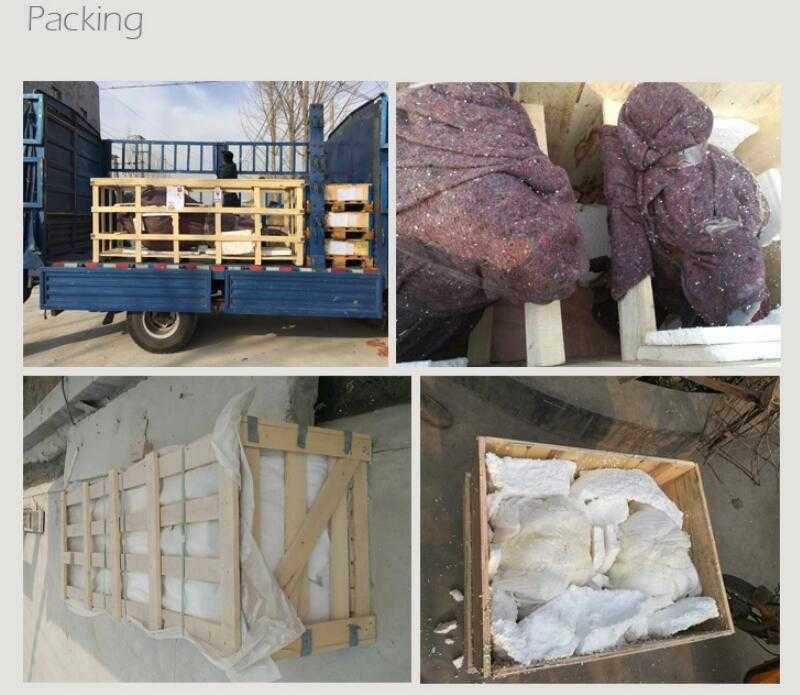 By train/truck:Special for Customers from Russia, Europe and other inland countries, short transportation time, also can save some cost.Please kindly inform us! Will find best delivery way for your reference according to your orders and local situation. 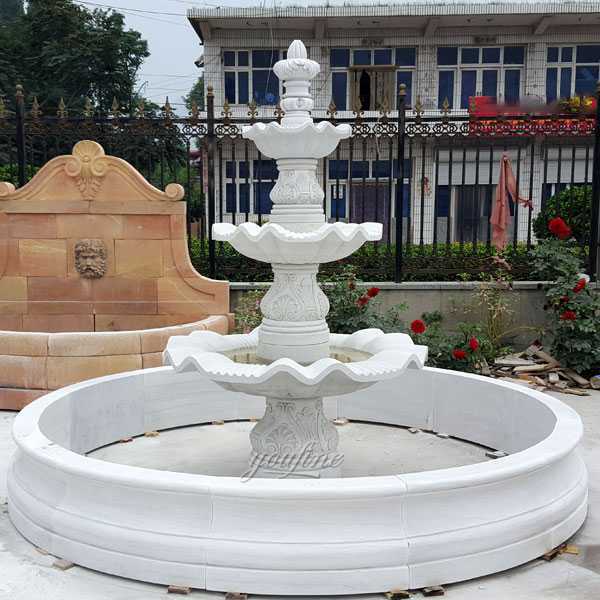 All of our marble horse water fountain have our 30-years quality guarantee, which means that if you find any problem with the marble horse water fountain you purchased, you can quickly approach You Fine for the necessary solution for free. In severe cases, money will be given back in less than 7 days. Our prices not arguable, this because that we are marble horse water fountain manufacturers (our own foundry), not just suppliers. We make sure that we would negotiate to suit our art quality as well as our customer’s budget. However, we always advice customers who insist on very cheap rate as compared to some other company’s product to also consider the art standard. 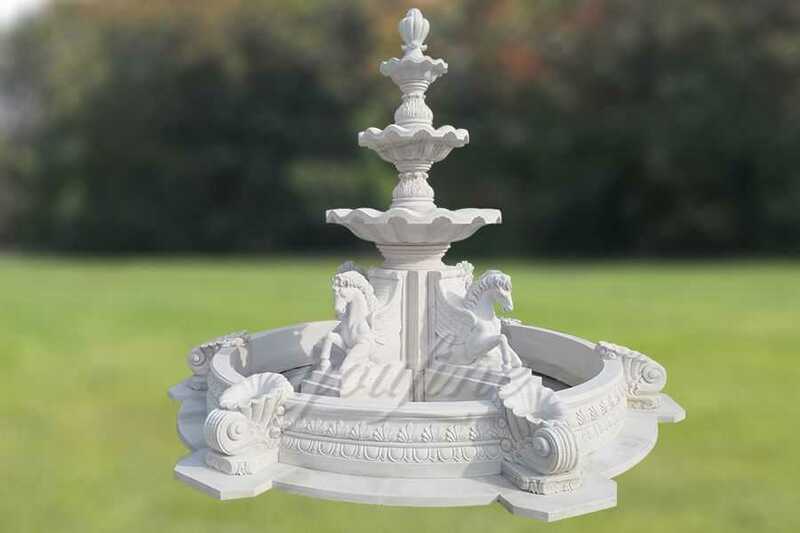 Outdoor Marble Horse Water Fountain bring a nature-inspired water feature into your outdoor living space with.Because garden fountains are so unique, they allow you to choose decor elements that suit your own unique taste. In addition, you’re adding a gentle trickling noise that soothes the senses.